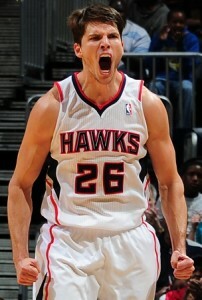 The Atlanta Hawks: There are 30 professional basketball teams in the NBA, and on any given night their arenas are full. The league was founded in 1946 and has grown in popularity every year since, particularly after the rise of stars like Wilt Chamberlain, Julius Erving, Magic Johnson, Larry Bird, Michael Jordan, and LeBron James. Over 21 million people attended an NBA game last season, with an average attendance of over 17,000 at each game. Professional basketball is an international sport, and NBA players are among the highest paid athletes in the world. I say all of this because outside of those arenas, it’s hard to find anyone who actually identifies themselves as a pro basketball fan. I happen to be one and have been for about 40 years. I actually played league basketball in my middle school years, back when almost everyone was vertically challenged, not just me. I suppose that’s how I got interested in the Hawks. When my friend Scot Hawes and I were growing up we regularly watched Dr. J as he soared above the rim for one of his signature tomahawk dunks. 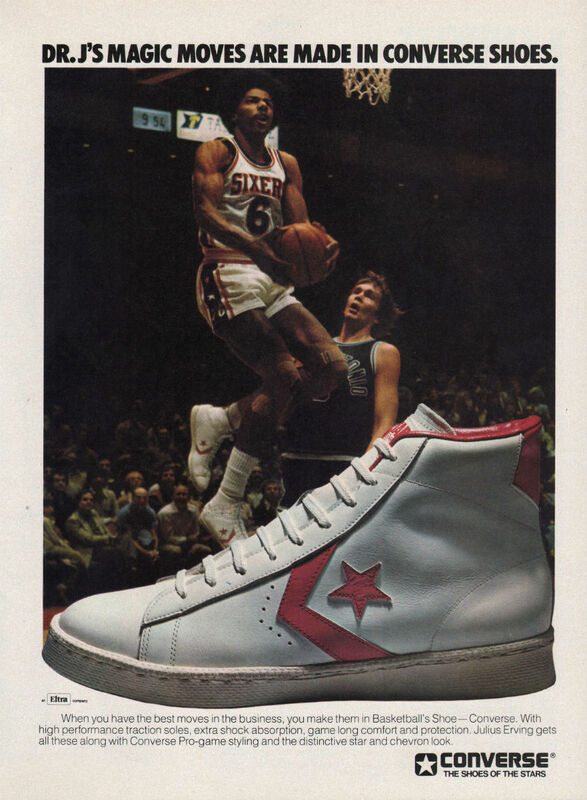 We wore his Converse high tops (seen in a vintage ad here), and tried to shoot like former Hawk Pistol Pete Maravich in the numerous Horse games we played in my driveway. Try finding an unabashed NBA fan now. They’re harder to find than the Golden Ticket in a Wonka Bar. But that’s changing rapidly this season in Atlanta, however, and with good reason. As of this writing, the Hawks are 38-8. That’s 38 wins and 8 losses, through 46 games. Halfway through this season, they have already equaled last year’s win total. Yes, that sounds good, but wait—there’s more. They lead the Eastern Conference and have won a franchise record 17 games in a row and are 31-2 in their last 33 games (a .94 winning percentage). That’s good—really good. In case you’re wondering, they’re halfway to the NBA record for consecutive wins: 33 straight by the ’71-72 Lakers with Wilt the Stilt, considered the best team of all time. How have they managed to do this? Unselfish team basketball and great defense. And how did that happen? Because suspended General Manager Danny Ferry hired Coach Mike Budenholzer two years ago. Coach Bud served as an assistant for 18 years under Coach Gregg Popovich of the San Antonio Spurs. The Spurs play unselfish team basketball, great defense, and—oh yeah—they win championships. Five of them, to be exact, since Pop took over in 1996. The Hawks might or might not win a championship this year, but something special is going on that makes the end of football season much easier. They are as dialed-in as any team can be, and the wins just keep piling up. Cocktail hour indeed. Stay tuned here. The Hawks haven’t won a championship since 1958, and that was when they were in St. Louis, but there might be pro basketball in Atlanta in June this year. Which would mean we wouldn’t have to watch the Braves, which will be a huge relief. More on that in a moment. College football: The inaugural college football playoff is history, and all concerned have deemed it a rousing success. For the first time, a select committee chose the four top teams and seeded them 1 through 4. They squared off against each other, first in two traditional New Year’s Day bowls, with the two winners of those games advancing to a championship game ten days later. The lowest-seeded team, Ohio State, won it all this year (Buckeyes Coach Urban Meyer is pictured here), which of course raised all sorts of questions. Chief among them: was there really that much difference between the #4 team that got in and the #5 team—in this case Texas Christian—that was excluded from the playoff? No, there wasn’t. So immediately there’s talk about expanding the playoff to six teams, with the top two seeds getting a first-round bye. That would mean extending the season by at least one week and some college presidents have objected to more missed classes for more practices, etc. But make no mistake: with the huge ratings garnered by this year’s three playoff games, there are millions to be made by expanding the number of teams and it will undoubtedly happen. What won’t happen: those student-athletes won’t be getting any of that additional compensation. But that’s another issue. Also troubling, at least to me, is that as much as I’ve clamored for a college football playoff through the years, once it was all said and done, I felt that the regular season had been cheapened somehow. In former years, #1 Alabama would have played #2 Florida State for the BCS national championship. 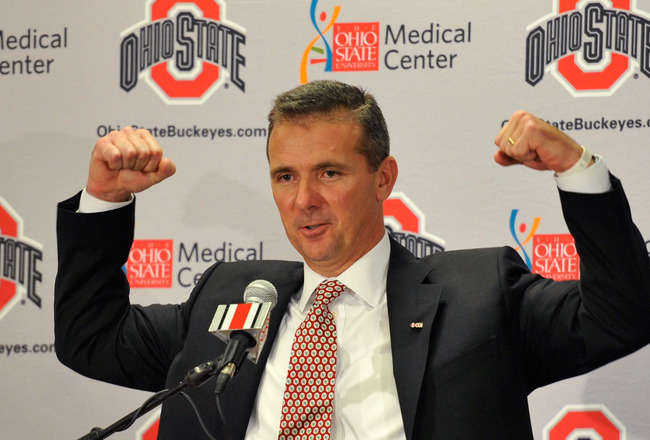 Ohio State, this year’s eventual champion, would not have even been in the mix. The Buckeyes reached the playoff on the strength of having lost only one regular season game and a convincing 59-0 beatdown of Wisconsin in the Big Ten conference championship game. In former years they would have gone to a good BCS bowl and that would have been the end of it. Not this year. The #4 seed won the whole enchilada. But stay with me, this is not a rant against the Buckeyes. Which leads me to say that if the playoffs are expanded to six or even eight teams, be prepared for that sixth or eighth seed to win the national championship. It might be a team with two losses in the regular season pulling an upset of an undefeated team in the playoffs. But it’s no longer about who the best team is at the end of the season, but rather who gets hot for about a month—just like in the NFL, the NBA, the NHL, major league baseball, and college basketball. In other words, just like in all those sports, it’s now about winning a tournament. M aybe that’s okay. I’m not taking anything away from the Buckeyes—they beat the SEC champs in the Sugar Bowl in what amounted to a home game for Alabama (here’s Bama Coach Nick Saban answering questions at a press conference in his usual gleeful manner) and then beat the Pac-10 champion Oregon Ducks, who put up 59 points against Florida State in the Rose Bowl. They won their way to the championship, and lost only one game in the regular season, their second game on September 6 against a Virginia Tech team that finished 7-6. That loss was clearly an aberration. But there’s no doubt that something has changed in college football that has made crowning its champion more like the other round-robin free-for-alls that mark other major sports, and I’m not sure that’s a good thing. Why does this bother me? For the same reason it bothered me the first time a wild-card team won the World Series in baseball—the 1997 Florida Marlins, who finished nine games behind the Braves that year in the regular season. How could they possibly be baseball champions when the finished in a distant second place during the regular season? But they were. It’s happened six times since that year, including this past season with the San Francisco Giants. The Red Sox broke their long championship drought in 2004 by winning the World Series as a second-place wild card team. How has this happened? Baseball plays a 162-game regular season for 6 months, and then rewards two second-place teams in each league with playoff spots as wild-card teams. Those teams can get hot over the course of a month and win the whole thing. Are they in fact the best team, or just the winners of the playoffs? Is there a difference? They clearly weren’t the best team over the course of a 6-month season. Given 162 games to prove it, a wild-card team couldn’t finish first in their division. But they can get into the playoffs and play their way to the championship over the course of one month. At the same time, a team that finished in first place during the regular season suddenly finds their bats have gone cold and their pitching not as precise when October comes. Where does this leave us? 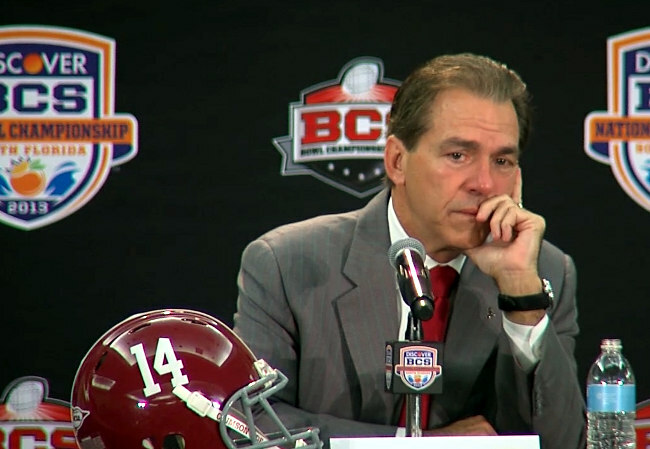 Still with a bit of chaos in college football, just as in the BCS era, and I suppose we should get used to it. It’s highly doubtful that any one conference will dominate the sport as champion as the SEC did for seven consecutive seasons between 2006 and 2012. Winning two playoff games—and perhaps three in the future—will be too high a hurdle for any one conference to do year after year after year. That’s probably not a bad thing either. But still, you can’t argue with the fact that as entertainment, this year’s college football campaign was pretty darn good. Stay tuned. January 18. Unless we’re talking about the balls used in the kicking game, in a game decided by a field goal, who cares about underinflated pigskins, really? Yes, I know it speaks to the integrity of the game, and yes, I know we’re talking about the team that gave us Spygate here, but c’mon man. The only thing we know for certain after all the drama and press conferences surrounding this subject over the last 10 days is that Bill Belichick makes Nick Saban look like Doink the Clown in the charisma department. 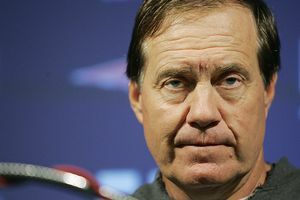 Belichick has all the charm and personality of a bowling shoe. At any rate, however all of this plays out, the NFL has another problem on its hands in a season filled with off-the-field fiascos, and the Patriots have to deal with a huge distraction in the run-up to their sixth Super Bowl in the Belichick era. Meanwhile, Atlanta’s NFL franchise has fired its head coach—the winningest in team history—and appear to be poised to hire Dan Quinn, the defensive coordinator of the defending Super Bowl champion Seahawks after his season ends next Sunday. His defenses are the best in the league, and the Falcons finished last in that department last season. At least they didn’t make the mistake of hiring the human train wreck that is Rex Ryan. The Falcons need a coach with integrity and class, not a buffoon. Braves management appears to be in full-blown fire-sale and re-building mode while trying to convince us that they’re not exactly dismantling the ’27 Yankees. Maybe not, but they are tearing down for the most part the squad that won 96 games just two seasons ago. 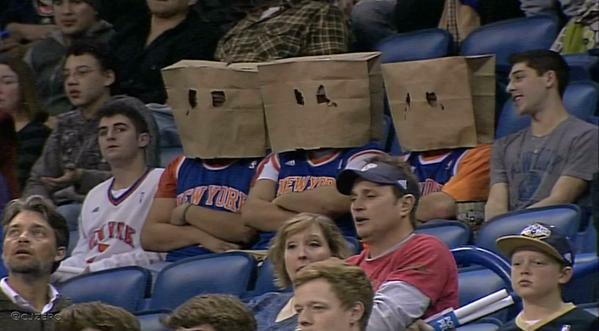 Those of you who lived through those dreadful years mentioned above may want to dust off those “Not Too Shabby” placards and get yourself fitted for that paper bag you’ll be wearing over your head all summer (like the Knick fans at left). 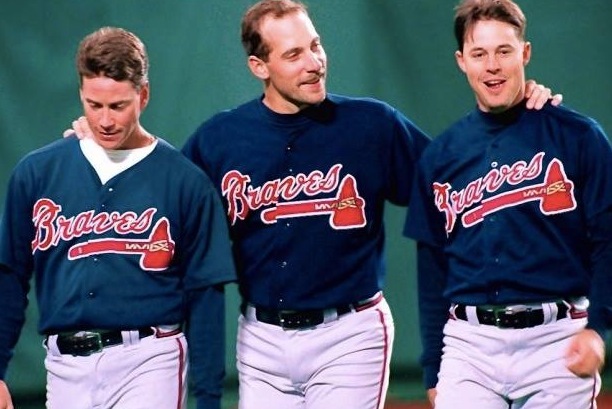 All of this is ironically happening at just the moment that Atlanta’s Big Three from our golden years—Tom Glavine, John Smoltz, and Greg Maddux, pictured above—are inducted into the Hall of Fame. It’s going to be painful to watch. In the meantime, grab the remote and watch Kyle Korver rain down those threes. It’s poetry in motion. And college football returns in 7 months. This entry was posted in People, Sports on January 29, 2015 by Stan Deaton.